YouGov Omnibus is the perfect vehicle to test public and consumer opinions, attitudes and behaviours quickly and cost effectively. 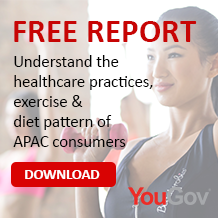 YouGov Omnibus is available in all of the key markets in Asia Pacific. We interview an online representative sample of adults, aged 18+. Clients purchase as many individual questions as they need. Our expert team are on hand to help with survey design – whether it be from scratch, or we can provide standard survey templates to address a broad range of situations. For our clients, Omnibus offers the most affordable, nimble way to generate tailored and reliable insights. Want to know how your organization can be benefited from YouGov Omnibus?